This week we’d like to introduce you to Neil Gibbins, our top ‘Hubby’ in 2012. 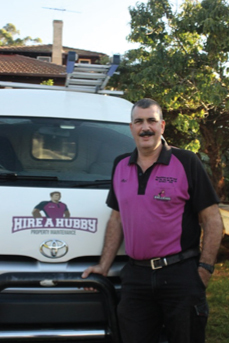 Neil runs two Hire A Hubby businesses in Sydney’s north western suburbs around Gladesville and Ryde. Neil and his team work with a range of domestic, real estate and commercial clients. I learnt my handyman skills growing up in the country. My career led me into corporate banking and operations management where I worked for 27 years with companies including ANZ Bank, Citibank and AMP. I joined Hire A Hubby in 2003 because I wanted to do work I enjoyed and found satisfying and that gave me the flexibility to see my sons grow up and participate in their school activities. I enjoy applying my corporate skills to my own business where I receive the direct benefit from my efforts. How does your average day stack up? Each day is different – that is one of the great things about what we do. Every day includes interacting with customers, working on the tools, preparing quotes and invoices, managing my staff, running and growing the business. It is very satisfying when your customers appreciate what you do for them. Currently we are working on some large preparation-for-sale jobs, presenting people’s homes in the best way they can be to maximise the sale price. We also have regular work from our domestic, real estate and commercial clients. What does it take to be a ‘Hubby’? Success is driven by how you interact with people. Hire A Hubby is a repeat and referral business and we deal face to face with our clients and build long term relationships. We want to be the first point of contact for our clients for any property maintenance need, large or small. We always strive to do an excellent job so our clients will invite us back for more work and also tell their friends. There’s no denying Australians love property and home improvements. In fact, home improvement shows like The Block, The Renovators and House Rules are very influential in encouraging home owners to attempt larger DIY projects on their own. But it’s not as simple as buying a bunch of materials from the local hardware store and turning a profit after a weekend’s work. There is a side to DIY often left out of television shows that makes it look much easier than it actually is, and the last thing you want is to lose value on your home after botching a job. Here are five tips to help steer your home improvement plans. Engage professionals from the outset of your project for their experience, skills and product knowledge. 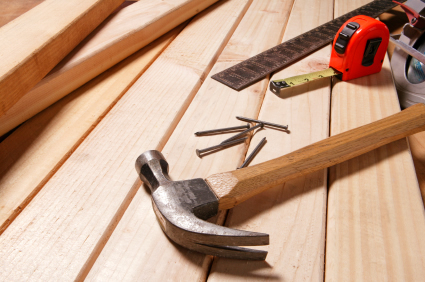 While anyone can try their hand at home improvement, it’s important to remember certain tasks such as detailed carpentry work or large tiling jobs require certain tools, experience and the right products. There are a number of critical design features that many DIYers can overlook and by doing so compromise the integrity of the house. For example, most of the structural members of a building are under the floor and in the roof and removal of internal walls can be dangerous. Seemingly easy jobs like hanging a door actually require quite good hand skills and if not done properly the finished product can look ugly. Likewise, patching a hole in the wall can look awful if you’re using the wrong product. 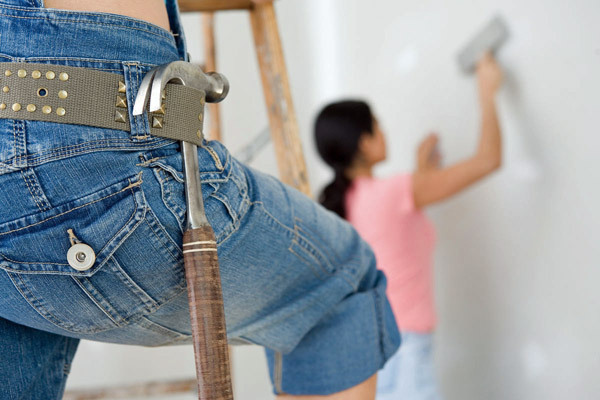 Home improvement projects aren’t as easy as they appear on TV, so estimate time generously. Half-finished projects are often the result of frustration or lost interest after underestimating the scope of work. Renovators-to-be need to know the limitations of their abilities and engage professionals for highly-skilled work when required. The worst way to finish a home improvement project is with an injury. If you’re thinking about undertaking home improvements, call your local Hire A Hubby for an obligation free quote on 1800 803 339 or visit the website www.hireahubby.com.au. Now that we’re in the middle of winter, there’s no better time to evaluate your energy use to see if there’s anything you can do to avoid a hefty electricity bill come the end of the quarter. Around a third of the average household’s energy consumption during the colder months is used to power heating appliances that keep the home at a comfortable temperature. This doesn’t have to be the case. This week we have we come up with some ideas on how to stay warm while keeping a cool head with your energy use. How many of these tips are you following? Between 18 and 21 degrees is plenty. If you’re lucky enough to have a thermostat, keep it at a sensible level. Every one degree higher that you set a thermostat increases the energy usage costs for that appliance by up to 10 per cent. Simple to do and often forgotten, always close doors to unused rooms to prevent warm air from escaping. Likewise, close all windows. The laundry and bathroom are ‘hotspots’ for losing household warmth, so block them off. 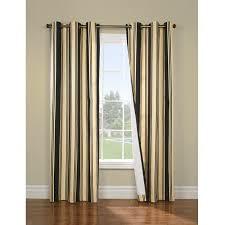 Close curtains around the house. By all means let the sun’s warmth in during the day, but close the curtains or blinds before the sun goes down to provide the room with insulation. What is your energy star rating? Like many things, cheaper doesn’t mean better. Bargain heating appliances tend to be the most expensive to run and the least efficient at producing heat. Check your current devices and see if you’re due an upgrade. Be sensible. The best way to save money on winter heating is to wear warm clothes. Even some of our toughest ‘Hubbies’ have a few blankets or throws lying around the house. 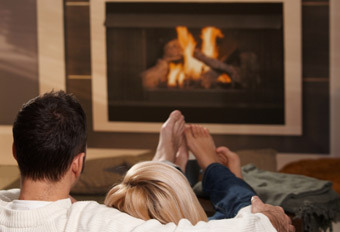 Want some more info about winter heating? Check out this great guide by Ausgrid. 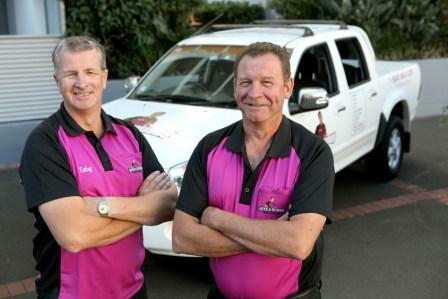 If you watched Channel 9’s Celebrity Apprentice this year, you may have noticed some of our very own stars. 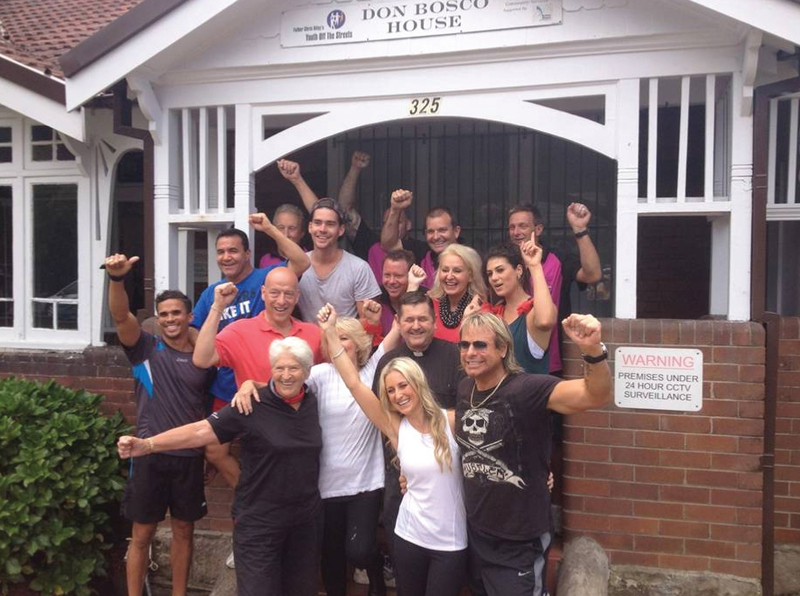 Greg Smith, who runs Hire a Hubby Cronulla, was invited to join the celebrities to manage a much needed makeover project for the Don Bosco House in Marrickville. He was joined by a handful of our Hubbies who lent a hand on the three day project which included painting, landscaping, installing new blinds and curtains and removing old sheds and rubbish. The Don Bosco House represents a not for profit organisation, providing a safe place for young people requiring emergency care. “Dawn Fraser was particularly impressive. At 75 years of age and still doing the hard yakka really showed me why she was an Aussie legend. “All celebrity egos were also put aside. They were just a really down to earth bunch and everyone put in for the cause. “Some of the celebrities had no renovation experience and some had never even painted before, yet they put a brush in their hand to help for a cause they believed in and at the end of the day it was a positive, eye opening experience. Warrick Capper telling me at lunch on day 2 that he does not have an ego! Stay tuned for more stories from our Hubbies! A large piece of art or a feature mirror can look great in your home, but they can also cause damage to your home or person if not installed properly. 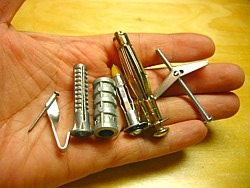 For anything that weighs more than 10kg you really need to start thinking about the hardware you use. Unfortunately the ‘hammer and nail’ approach doesn’t always cut the mustard. Let’s take a look at what your options are. For plasterboard (gyprock) walls the simplest way is to drive a screw directly into an underlying wall stud to support the weight. An electric stud finder is normally needed for this and unfortunately studs aren’t always where you want your hanging. 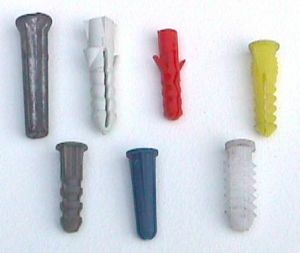 In this case, professionals will often use a plastic winged anchor to stop the screw from pulling out of the wall plaster. Sometimes heavy picture frames require two anchors for extra strength and stability. Always take care when installing these anchors as too much force and over tightening screws can cause damage. For hangings that weigh 20kg or over you’ll need to consider attaching a plywood reinforcement board to your wall to secure the hanging and distribute the weight. 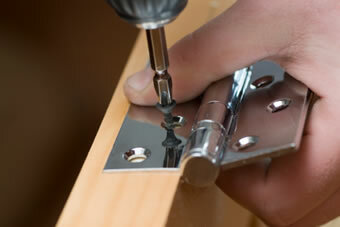 TIP: inserting nails and screws on an angle will make for a stronger hook. Brick, stone, and concrete walls will require an anchor (or two for heavier frames) installed with a specialised masonry drill bit. Anchors for masonry walls are different to the ones used in plasterboard and it’s important to get one suitable for both the wall material and the weight of your hanging. Professionals will normally wear eye protection when drilling into masonry surfaces and care needs to be taken to avoid cracks and costly mistakes. Be aware that any holes and mistakes in masonry materials are permanent so if you’re beyond your limits, call the experts in. 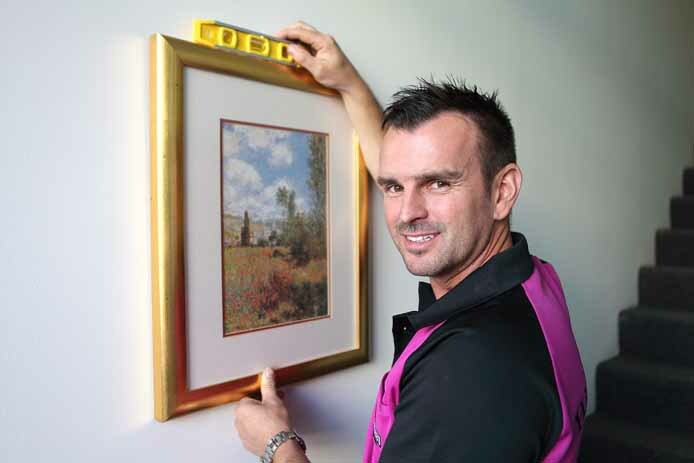 For help or advice on hanging a heavy item, have a chat with your local Hire A Hubby on 1800 803 339.